Today is our last day in New Hampshire and for the past week I've been cramming in as much fitness fun as I can around my last days of teaching and packing. So many people went out of their way to help me get ready for the move and to say such kind things to me. 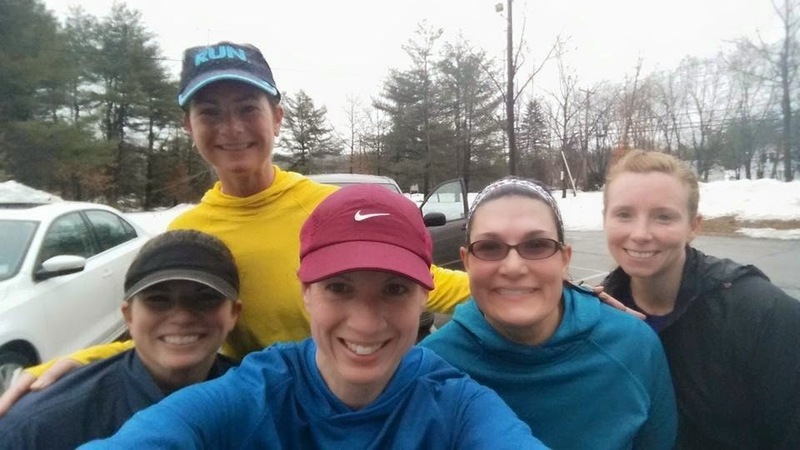 After spending Monday and Tuesday telling my classes that I was moving, it was really nice to run a few miles with the Run Club and work off some of the emotions. 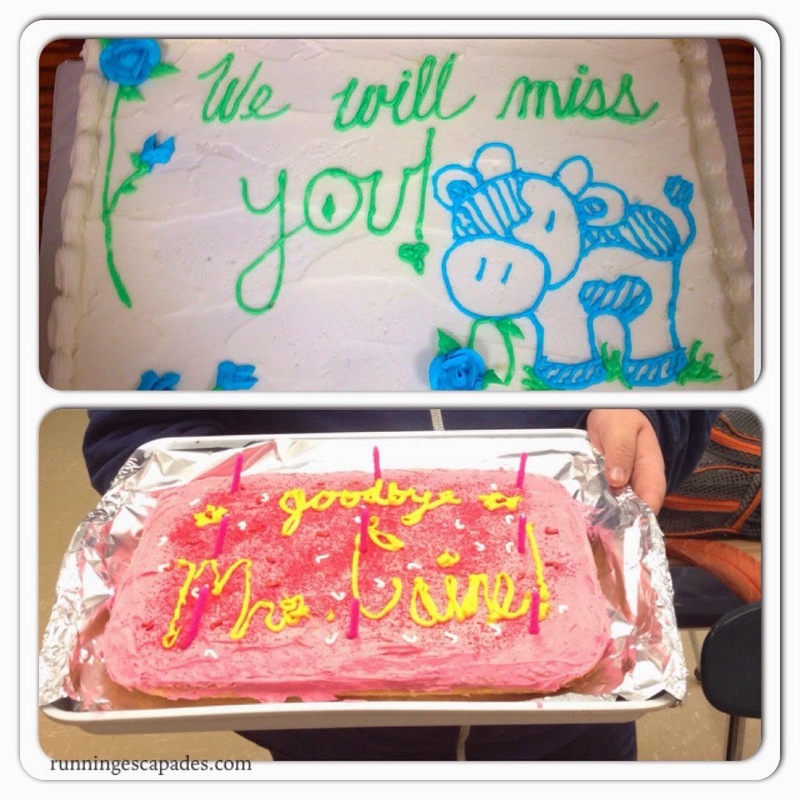 I spent the week working with my substitute and was surprised by several farewell moments from the faculty and students. 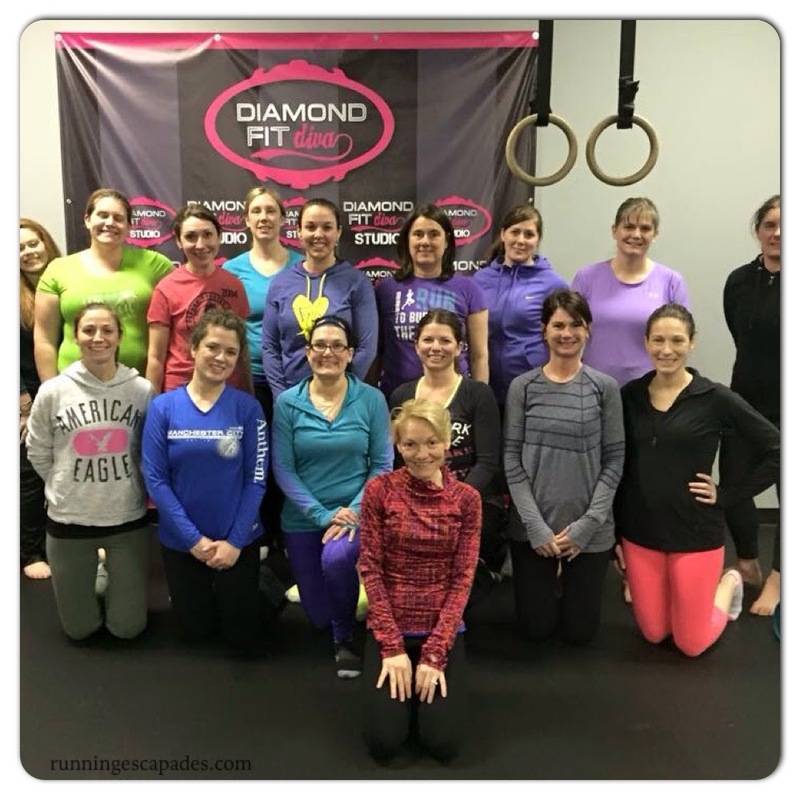 Friday night I went to the #GMMRTT free yoga session at Diamond Fit Diva in Manchester and then stopped for some drinks at LaCaretta after. 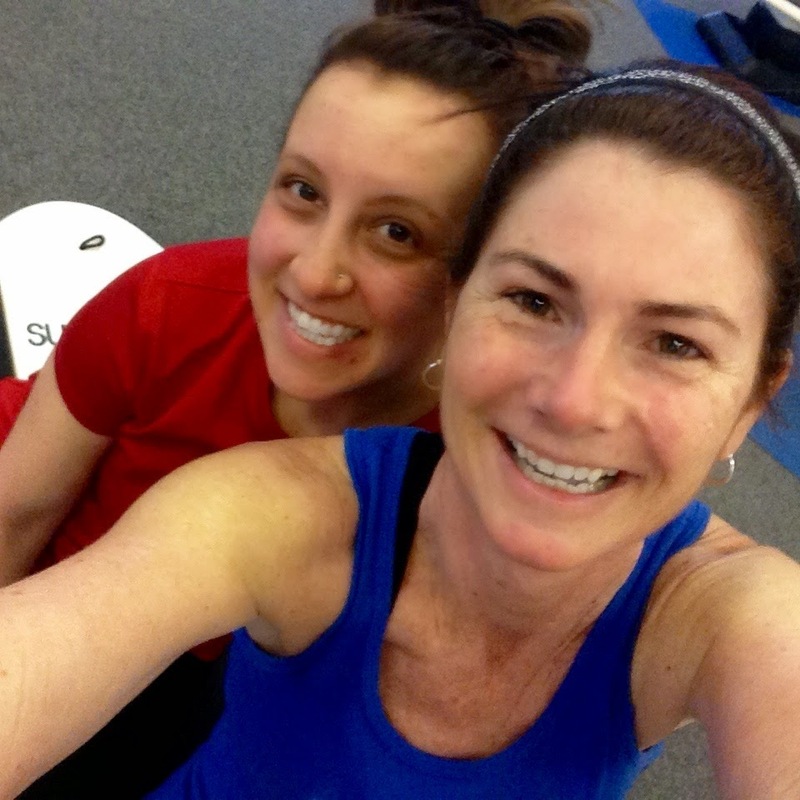 As usual I spent my Saturday morning with TI Fitness at #SurfnTone class. We did so many squats that my legs are still sore today. I'm going to really miss these classes until we come back to visit. Saturday afternoon my stylist was able to squeeze me in for an early color, cut, and wax before heading out of town. It's going to be tough to find someone who "gets my hair" in China. My last #SundayRunday was spent running a 6 miler with a group of runners from #GMMRTT. 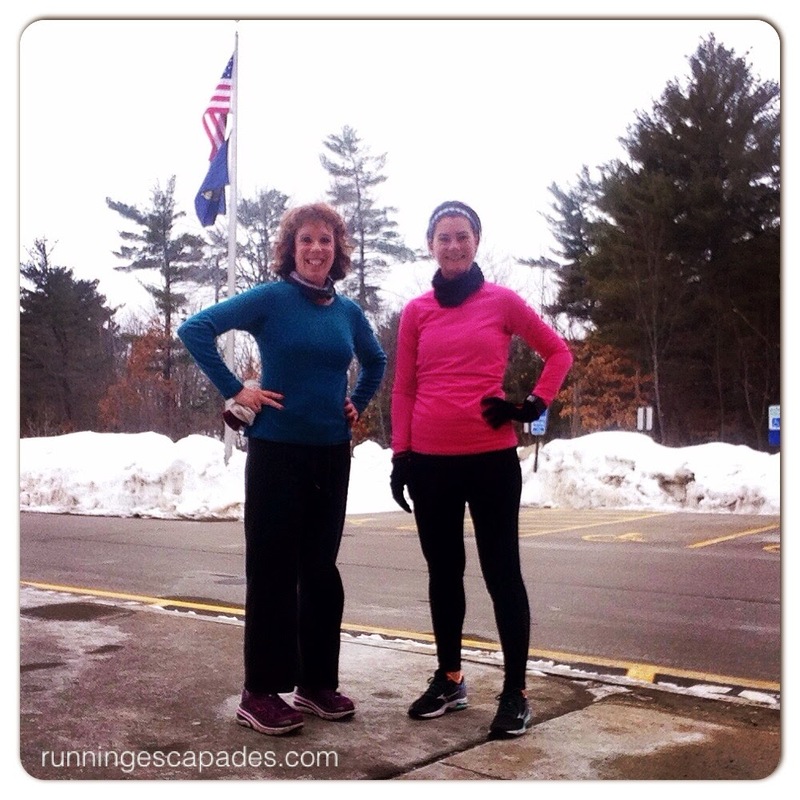 Our runs have been so fun and make the miles fly by. I'm so happy I could spend it with these awesome ladies. Want to see more pictures of my adventures in China? Follow me on Instagram! I will be spending the rest of today packing and doing last minute errands before we head out to spend a few days with my in-laws in Massachusetts and my family in Ohio. 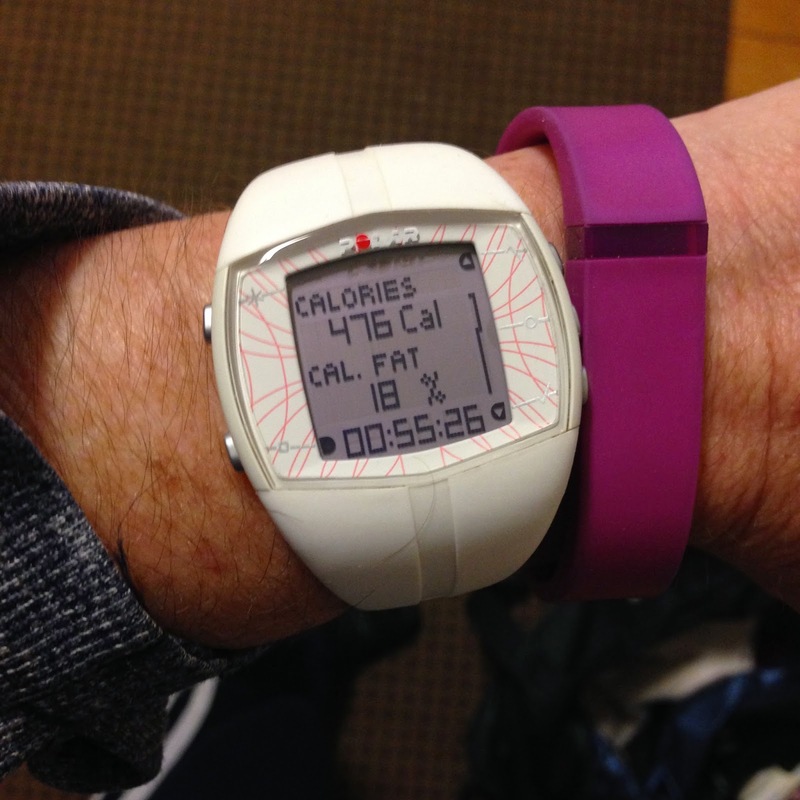 There won't be a lot of time for fitness, but I'm going to squeeze it in whenever I can! Do you have any packing tips I could use? 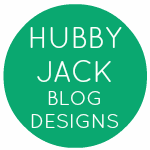 Today I can tell you more about why I have been so stressed out lately. mrC has a new job and we are moving…to China. Yes, China!! My head and heart have been on a roller coaster over this. It is very exciting and a little terrifying. Obviously I want to be with mrC, but I also hate to leave. Ironically, I have been begging to move closer to the city, but I never expected a move this big! Needless to say things have been CRAZY. This week I start transitioning my classes over to my substitute at school and try to find a way to say "see you later" to the friends I have made. 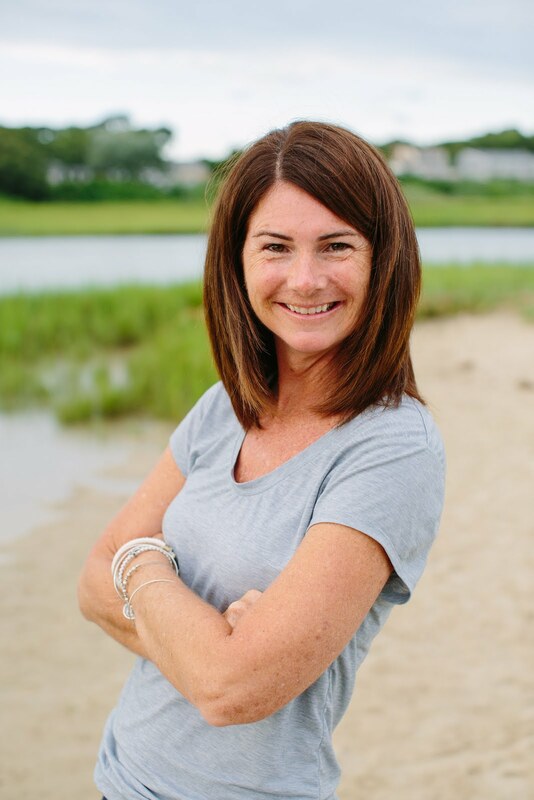 Although we are leaving New Hampshire at the end of the month, we will be back in August for our scheduled vacation ---> and I'll be planning some ZOOMA fun while I'm back, so stay tuned! 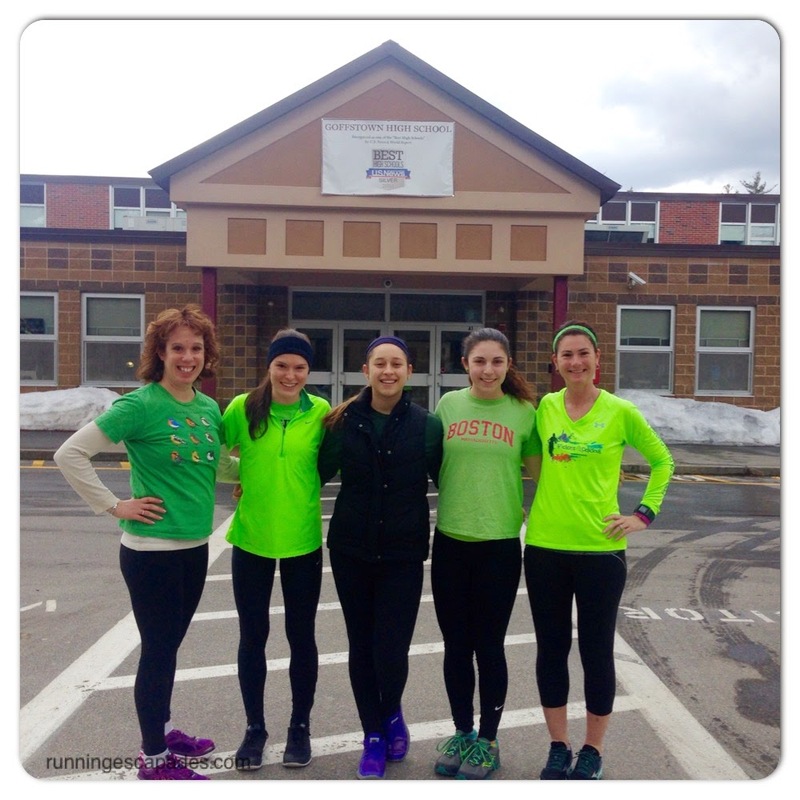 The plan: run 30 minutes and wear green! 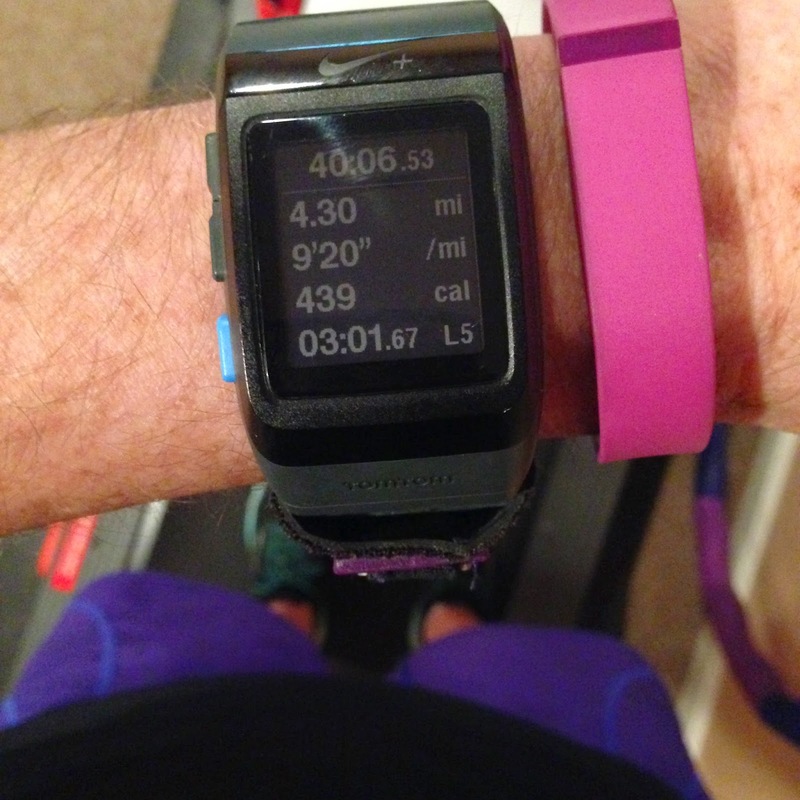 I didn't find my motivation until almost 7 PM, but once I got started this treadmill run was pretty good. And I had some company! I was looking forward to this event ever since it was postponed in February after one of our big snow storms. Originally I was only going to run the 5K (it would have been my first post-op), but with the delay, I was able to run my first post-op 10K! 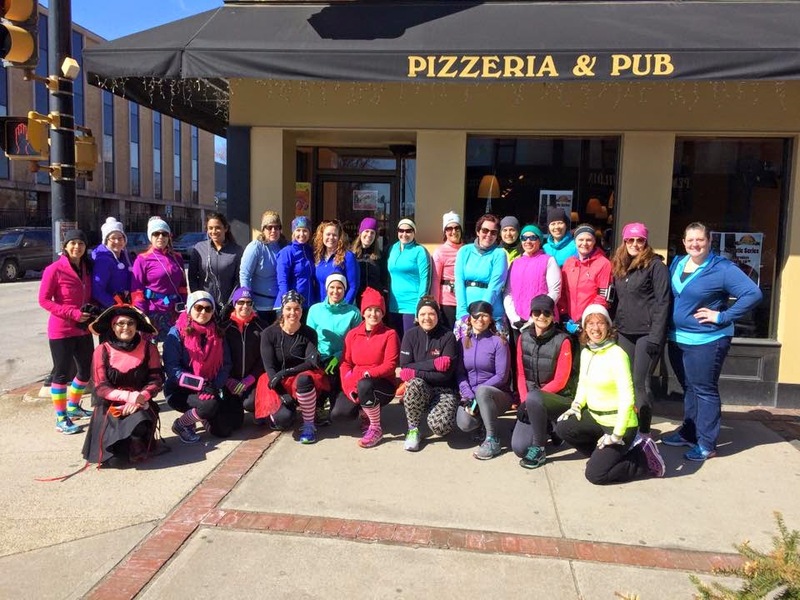 After the run, we all hung out at Portland Pie for lunch, door prizes, and girl talk. Have you ever made a big move? My life has been stressful lately. Behind the scenes here at RE, we've been dealing with bad gallbladders and job changes. It hasn't been easy, but then again life isn't always easy. I saw this posted on social media recently: "if you want rainbows, you have to deal with the rain." Usually my way of dealing with stress is to workout, but the last couple of weeks I have been shutting down. Here's what I managed last week. mrC had his gallbladder removed on Monday and after a night of dishing out pain meds every four hours I skipped my Professional Development day at work. I tried to nap when mrC did, but found myself lacing up my Mizuno Wave Rider 18s instead. It was my first run from home in months and the hills felt horrid, but it was a good 5K run in capris. 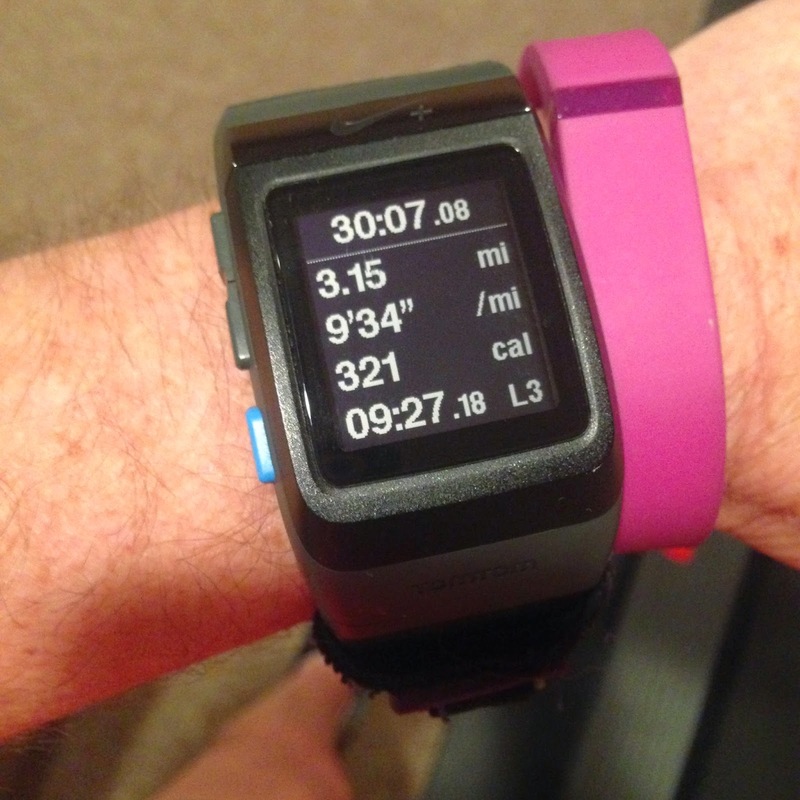 After already skipping my run on Thursday, I woke up thinking of all the reasons I wasn't in the mood for this run. Then I realized that I needed it. As soon as I got my feet moving, I started feeling better. (almost) Five miles of conversation later and I couldn't believe that I almost skipped out. The one thing I have been able to do consistently is the MAD Abs March challenge. 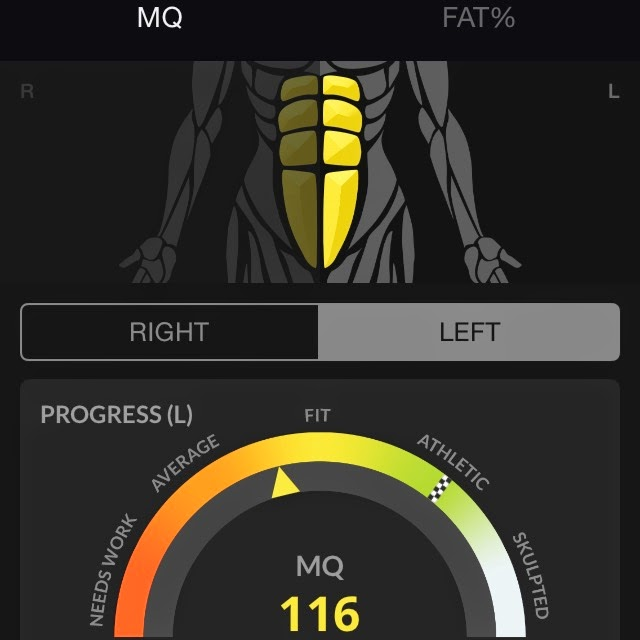 It also seems to be paying off because according to the Skulpt Aim, the muscle quality of my abs is FIT! (check out my progress here and here). Two weeks ago I began using my Skulpt Aim device and took my initial measurements. 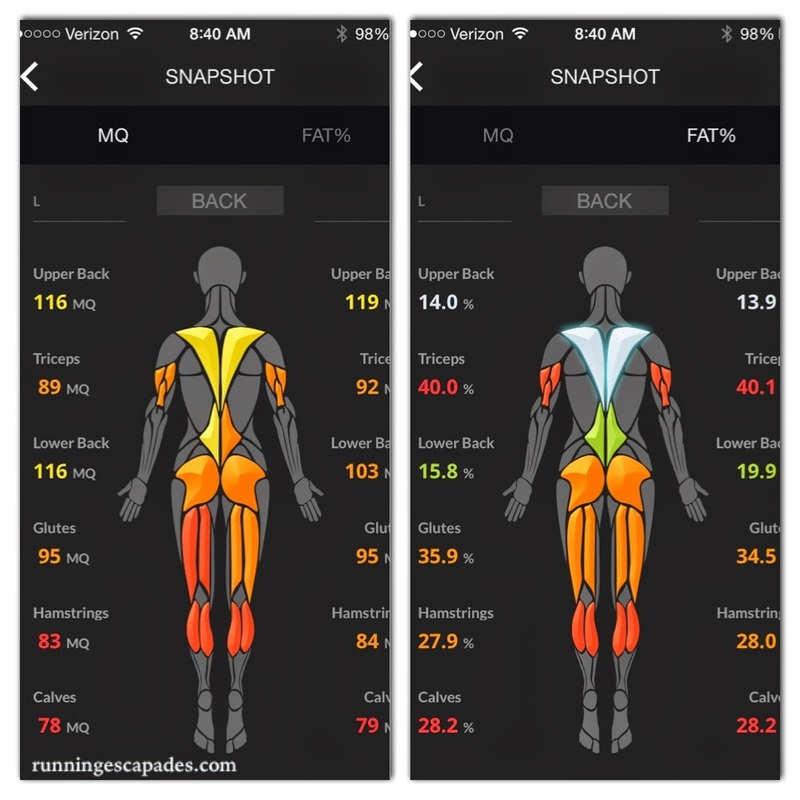 The results (here) showed that I had many places that needed work, so I added workouts that specifically focused on those areas. During the first week I was on February vacation and focused on fitness. Week two was a wreck. I was distracted by all of life's big and small things. With the help of mrC, I took new measurements. 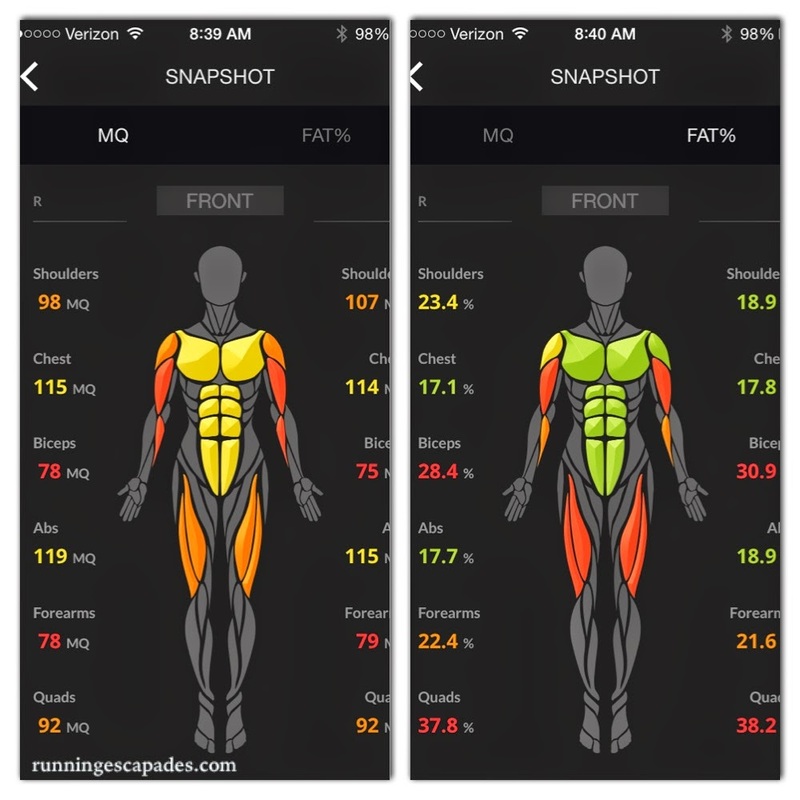 My overall body fat according to the Skulpt Aim went up from 27.2% to 31%. This surprised me until I remembered that I took my initial measurements myself which means the results may not be as accurate. I have also learned that the amount of water in my body at the time that the measurement is taken can affect the results. (edit) I have learned that water does NOT affect Skulpt measurements. 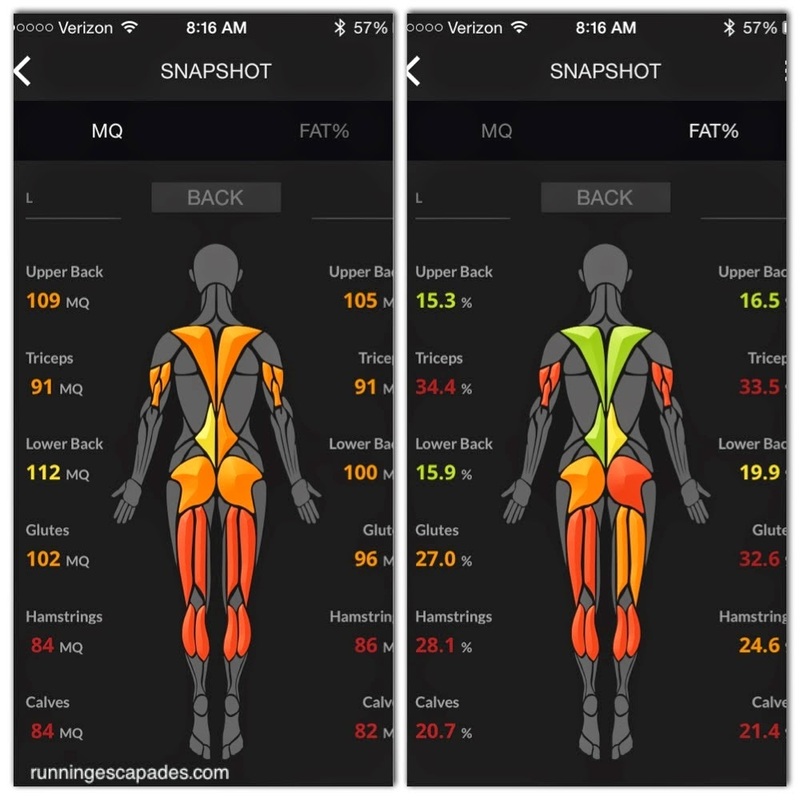 The numbers on my individual muscle groups have also changed both positively and negatively, but I think all of the changes are attributed to how the measurements were taken. I'm hoping that the next measurement will bring some clarity to the results. 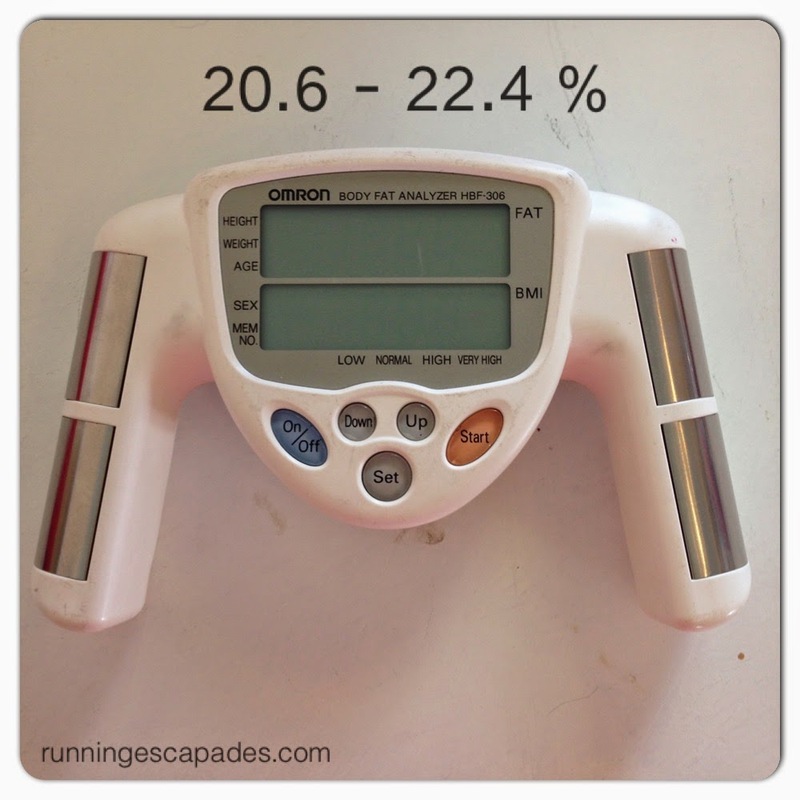 Several people were skeptical of the total body fat results (including myself), so I reached out to my friends at TI Fitness and they took my body fat measurements using an Omron hand-held device that they use with clients. They did it twice using both the athlete and normal settings. 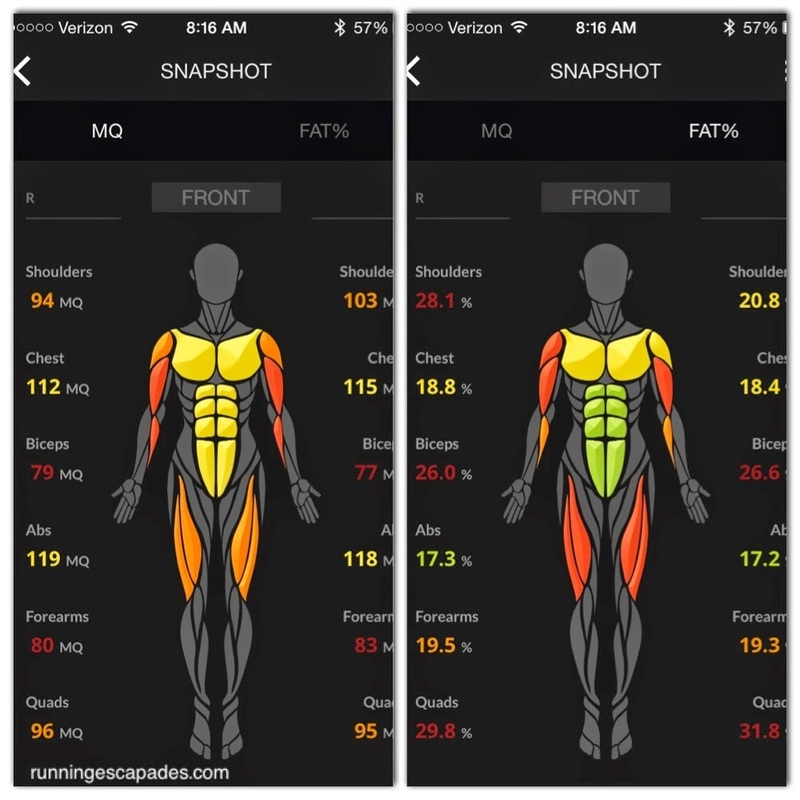 My body fat results ranged from 20.6 - 22.4 which is very different from the Skulpt Aim results. Once again I find myself feeling skeptical and wondering which set of results are more accurate. (edit) I should mention that the Omron device uses a different technology (which is widely criticized as unreliable) than the Skulpt Aim to measure body fat and I feel that the Skulpt Aim measurements give a more accurate assessment of my muscles (or lack of muscles, haha!). I'm going to continue my original plan, but hopefully with more consistency and increase the amount of weight that I use. And since I have leg envy, on leg days I'm going to try Carrie Underwood's Workout Moves for Legs and Thighs. Do you have leg envy? 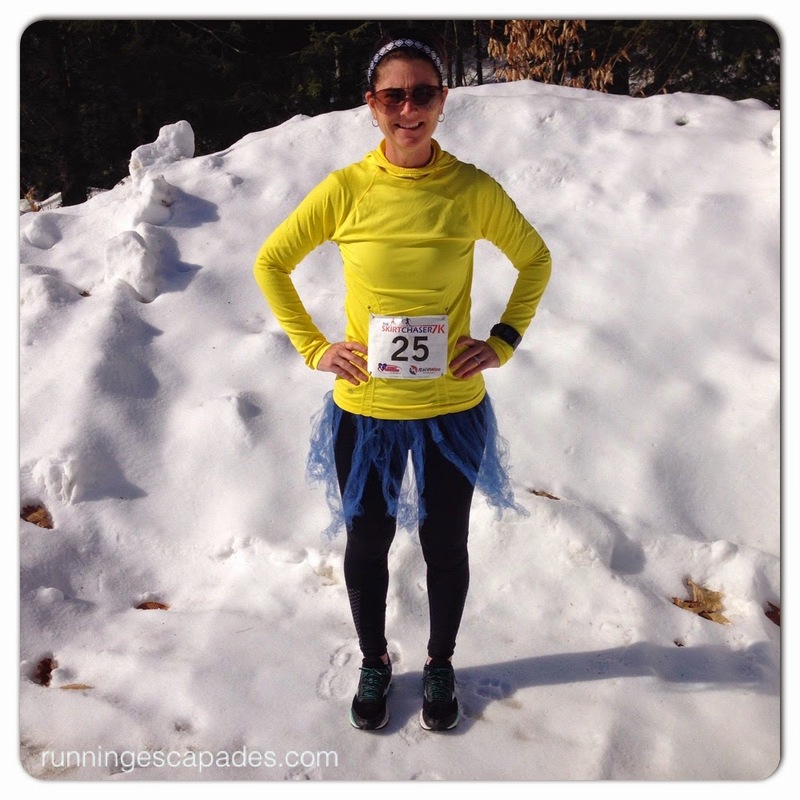 Training Truths: Back in the Game - Skirt Chaser 7K! It was a slow week for me. I skipped workouts. I made excuses: dentist appointment, cold & windy, I was tired. The only thing I did consistently all week was my MAD Abs March daily challenge. I did get out and run with a friend from work. It was cold and not the greatest run. I led us down the wrong street. My calves were super tight. We had to run the last 5 minutes around the school parking lot. Ugh. But there you go, still smiling at the end. Saturday was all about the race. 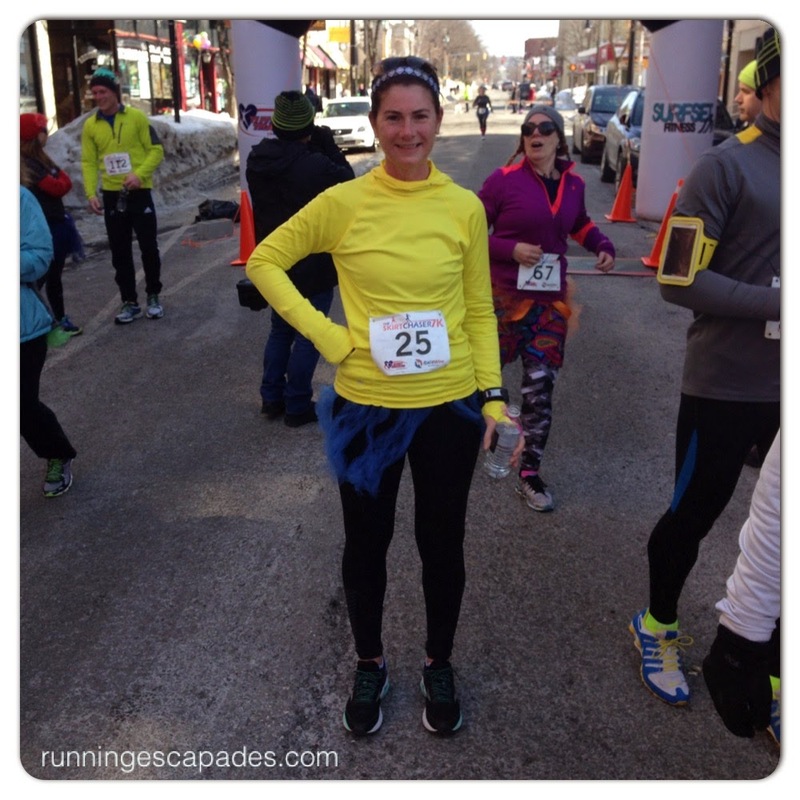 The Skirt Chaser 7K was my first race since coming back from my knee surgery in December. 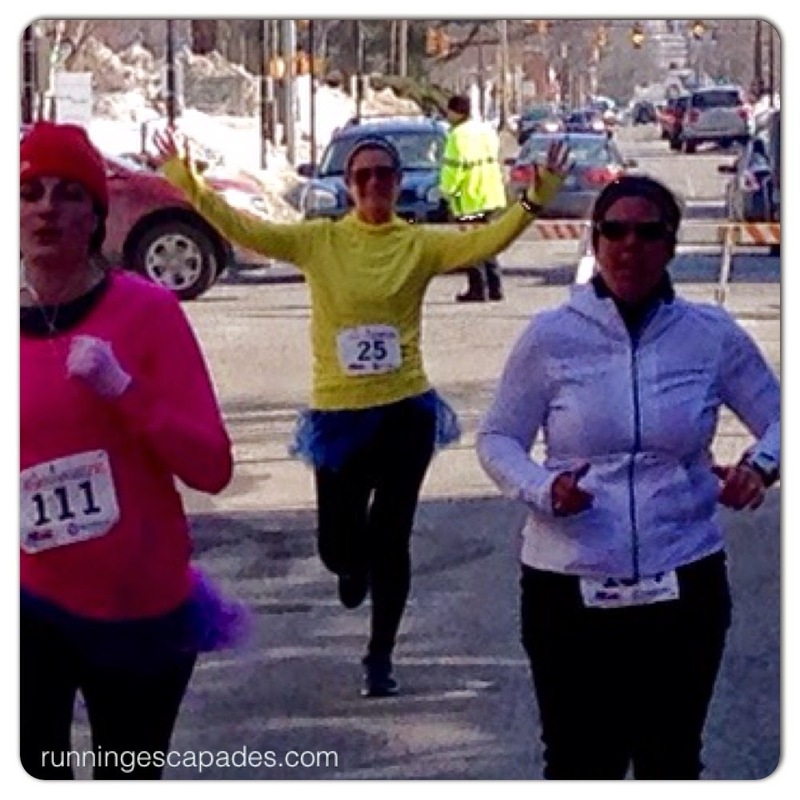 It was my first 7K and my first race in a tutu. FYI, I have zero tutu experience or knowledge, so while trying to release the static in my skirt, I also really straightened out the tulle. Oops! Lesson learned: it's supposed to be curly and puffy. The race started right in front of TI Fitness studio where I spend most of my Saturdays at SurfSet. After parking in the bank garage, we said hi to the TI Fitness gang in the studio, but passed on the glitter tattoos because we were meeting mrC's family for lunch after the race. 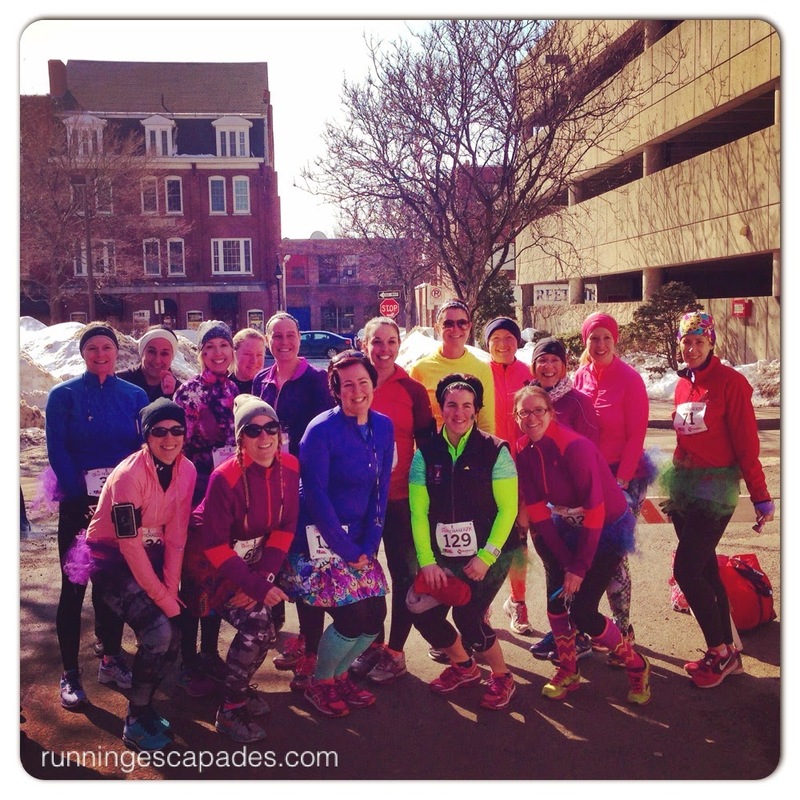 I was both excited and nervous, but as soon as I met up with the MRTT group I felt like my old self. The theme of the race was that the girls take off first and the guys follow 3 minutes later. A "catch us if you can" kind of thing. mrC did not run, but as usual he did take great pictures and this video of the ladies start. 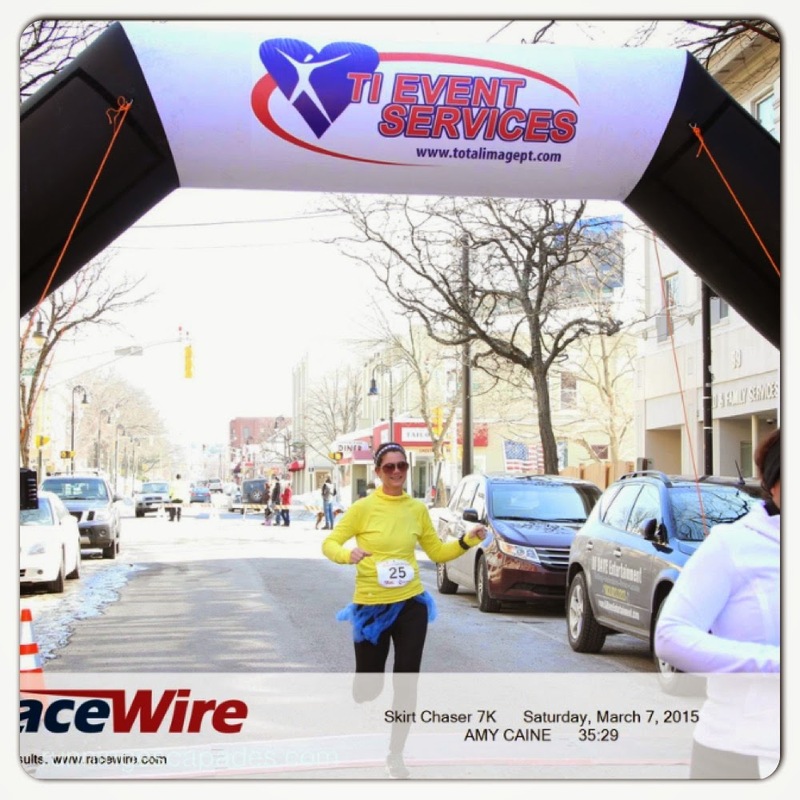 The 4.2 mile course was a loop around familiar Elm Street and Chestnut. I love finishing a race feeling strong, especially one with an almost mile long hill right in the middle. TI Event Services organized a great race. 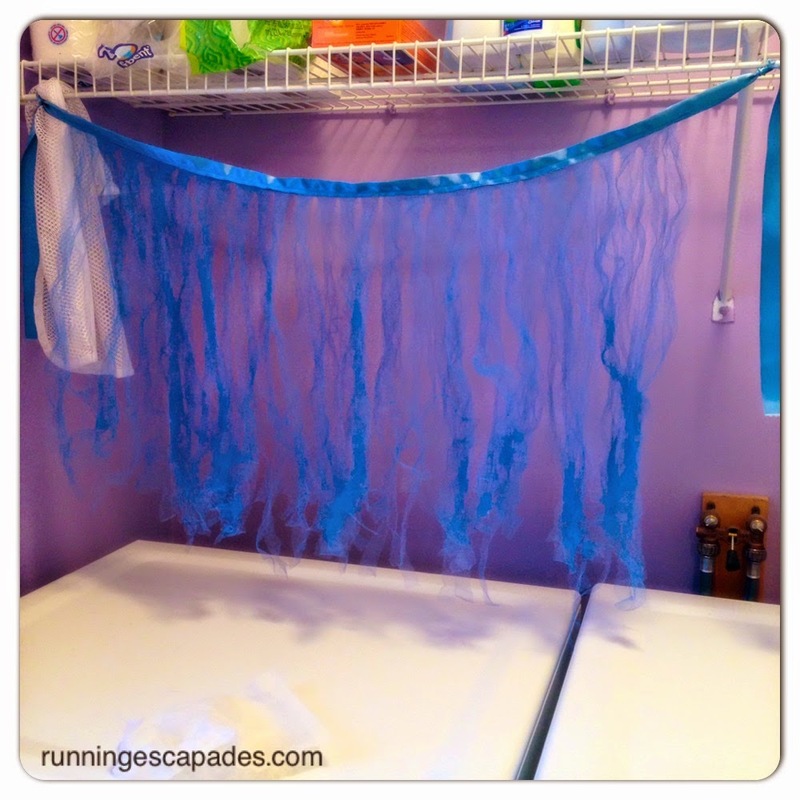 I loved the 7K distance and the pre/post race activities. 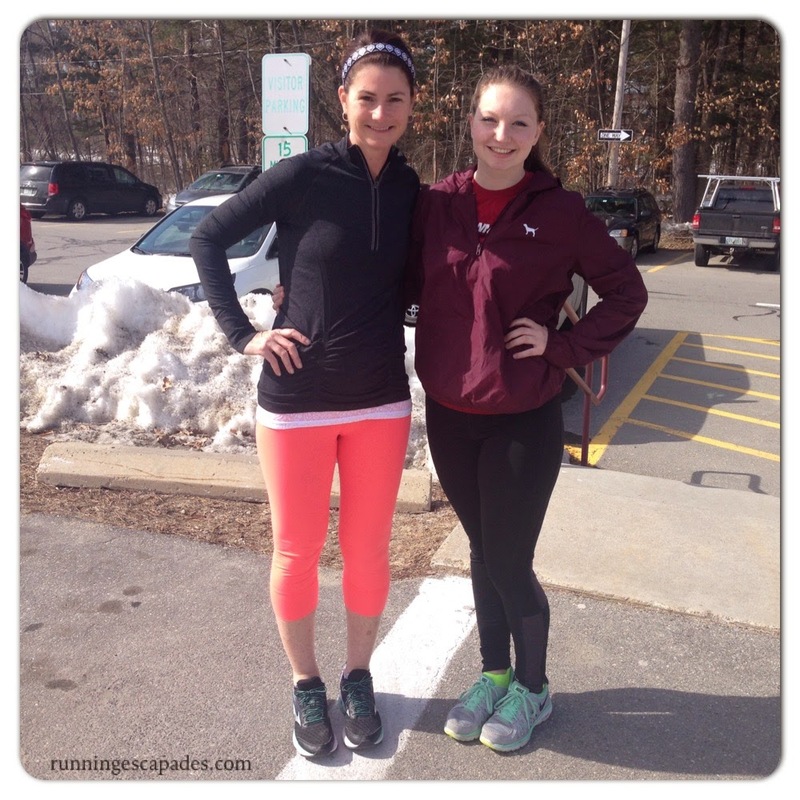 And, I loved my outfit: Athleta Tracker Hoodie and Miles Compression Tights (both are on sale!) and Mizuno Wave Rider 18s. Have you ever had a comeback race? How did it go? Last week over February vacation, mrC and I had enjoyed date night at the movies. Fortunately for me, mrC is a runner too and likes to see movies about running. 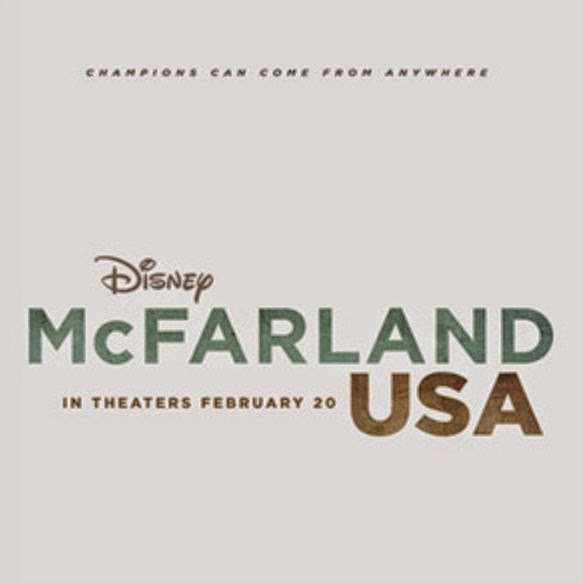 Based on real events, this movie tells the story of a group of boys destined to live a life picking in the fields of California until their teacher convinces them to run cross country. 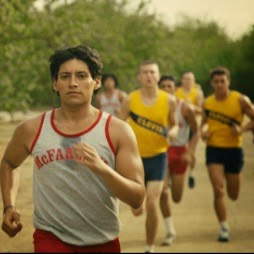 This movie is about more than just running though. 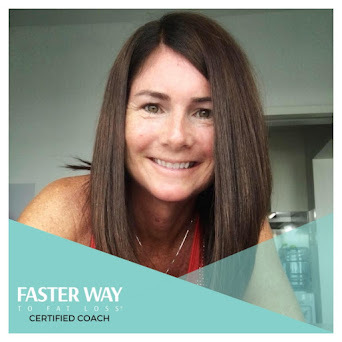 It teaches many lessons that we can all take away whether we are runners or not. 1. Believe in yourself. Together they learn that they can achieve so much more than they thought they could. They begin to see a future for themselves once they start to open up and trust each other. 2. Never quit. These boys fight through underdog status and cultural barriers just to run. Even when it's hard and you feel like no one believes in you, you have to keep going. 3. Chase your dreams. The boys were afraid to dream because life was pretty bleak for them. Just because no one before you has done it, doesn't make it impossible. If you want something you have to be willing to go after it. 5. Stick together.The failures and successes bring the team, the coach, and the community together in ways that can't be broken. So much more can be accomplished together than on your own. Loyalty is so much more valuable than a high paying job or fancy neighborhood. 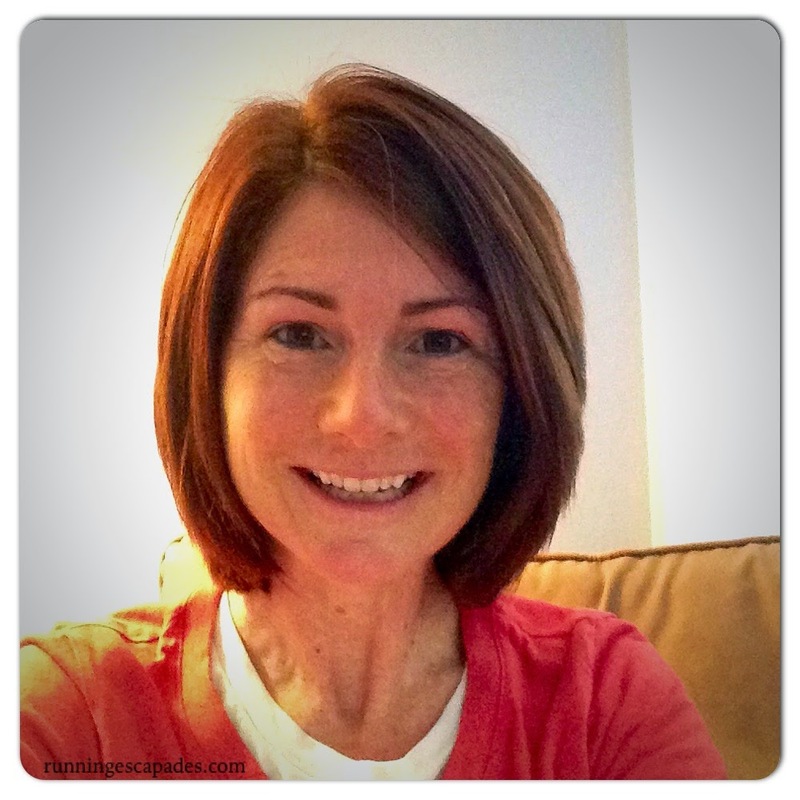 Knee Rehab Week 11: And We're Done! I passed my final post-op assessment, and just like that, knee rehab has come to an end. Even though I'm done with PT, I still have strength work to do, so I promptly signed up to take three SurfSet classes over Winter Break. I'm planning to steal ideas from class to do at home to hit those "need work" areas according to my Skulpt Aim measurements. 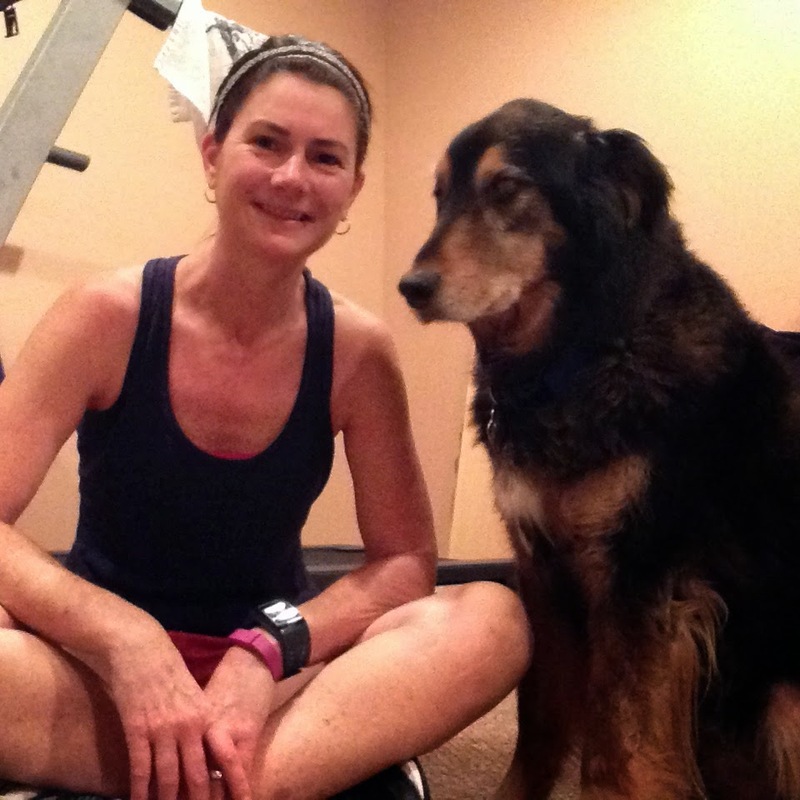 The cold weather and snow piles are still chasing me inside to the treadmill, but at least I am enjoying the time. mrC and I put on our outdoor running gear with plans to run downtown after his appointment, but it was so cold and cloudy that we decided to just go home. Allie over at Running on Peanut Butter blogged about her tempo run, so I decided to give it a try. 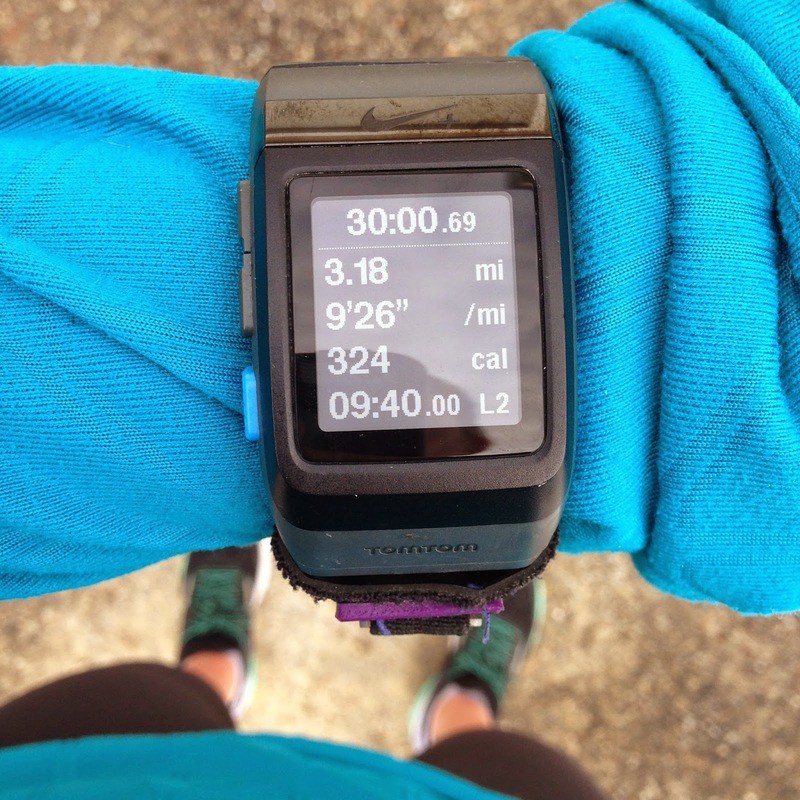 The tempo speed I selected was a little slower than it's supposed to be, but now I know where to go the next time. I had to get outside for at least one run, even if it was colder than they said it would be. 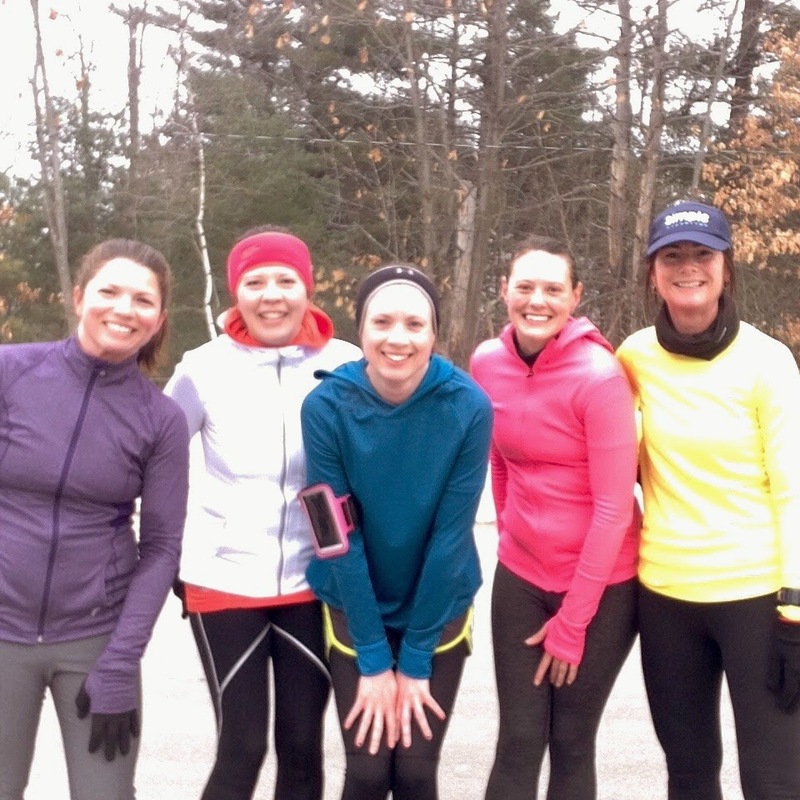 There's nothing like a few miles and good company to take your mind off the cold though! It was a flat out and back route early enough that the traffic was light. 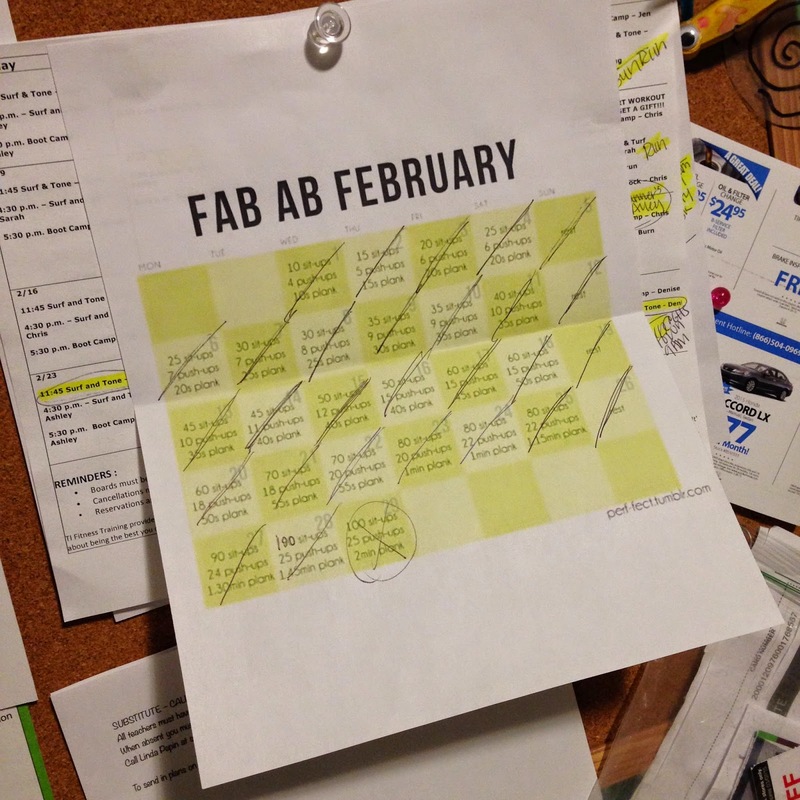 I finished up FAB Ab February, one of my favorite 30 day challenges, and am feeling so good that I began MAD Abs March. Give me something to cross off and I'm a happy camper. 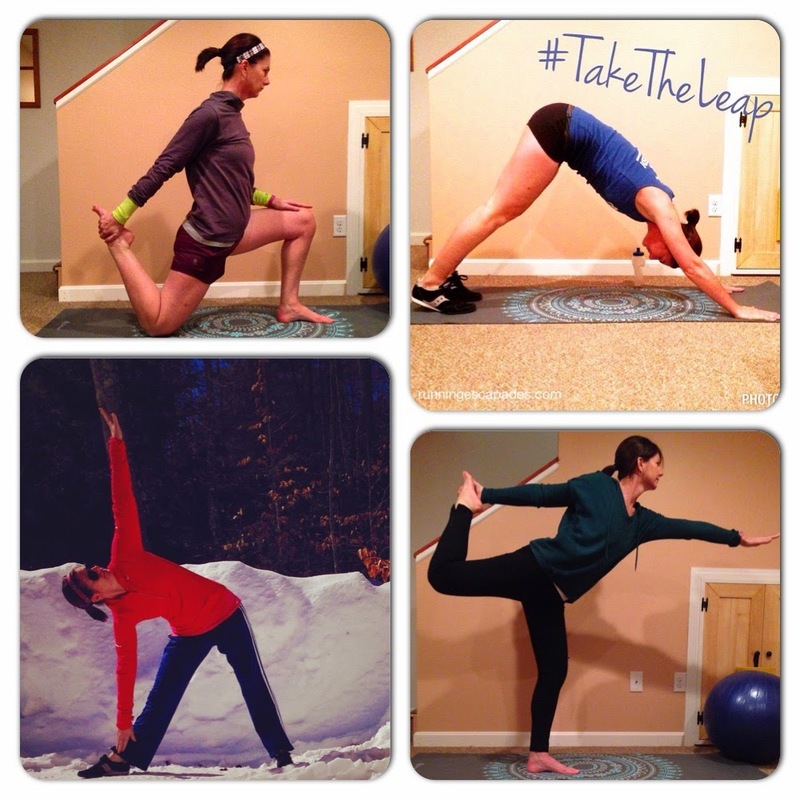 Even though the pRana #TakeTheLeap yoga challenge is coming to an end, I'm going to continue to do daily poses and try to limber up! Here are some of my favorites from the week. What did you finish last week?